It was during her masters at London's Royal College of Art when Sophia Webster first designed the whimsical butterfly wings which have become her signature. 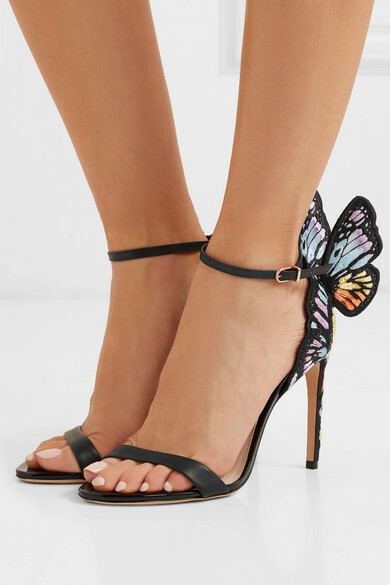 This version of the 'Chiara' sandals is made from supple black leather embroidered with kaleidoscopic strips of satin to make the insect look so vibrant. The open-toe calls for a glossy pedicure, but keep it neutral. Shown here with: ROTATE Dress, Attico Pouch, Isabel Marant Earrings.